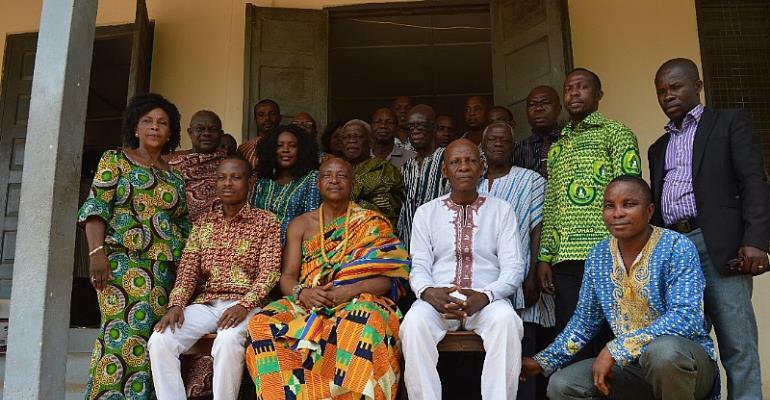 A 14-member governing board to steer the affairs of the Tanyigbe Senior High School in the Ho Municipality of the Volta Region has been inaugurated at a ceremony that took place at the school. The board, chaired by Dr. Kenneth Fafa Egbadzor, a pioneer student and a researcher of plant genetics has a three-year tenure, and among others, it would oversee the running of the school and the implementation of policies and other developmental plans. Members of the board include Rev. John Ahorgah, Mr. Francis Yao Agbavitor, Mr. Mathias Tengey and Ms. Barbara Wutor. 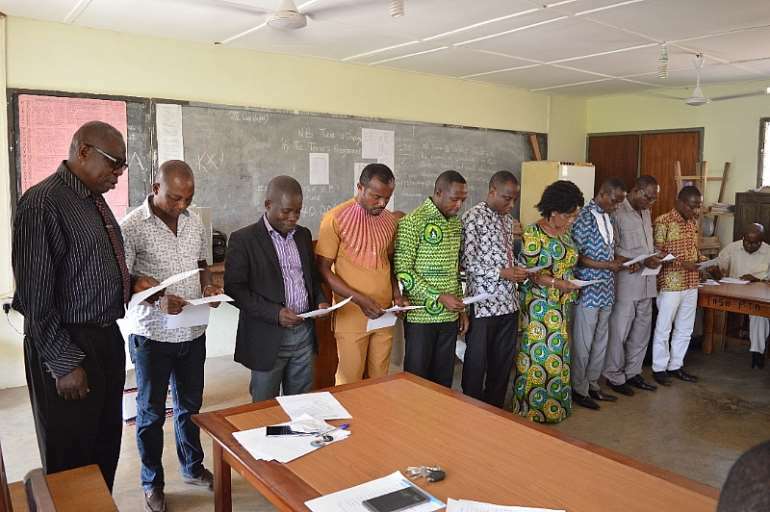 Others are Mr Yao Xetor, Mr James Lebene, Ms. Diana-Ross Akoi, Mr. Paul Kwami Dorgbetor and Mr. Mawuli Gbortsu, with a representative each from the municipal and regional directorate of education. 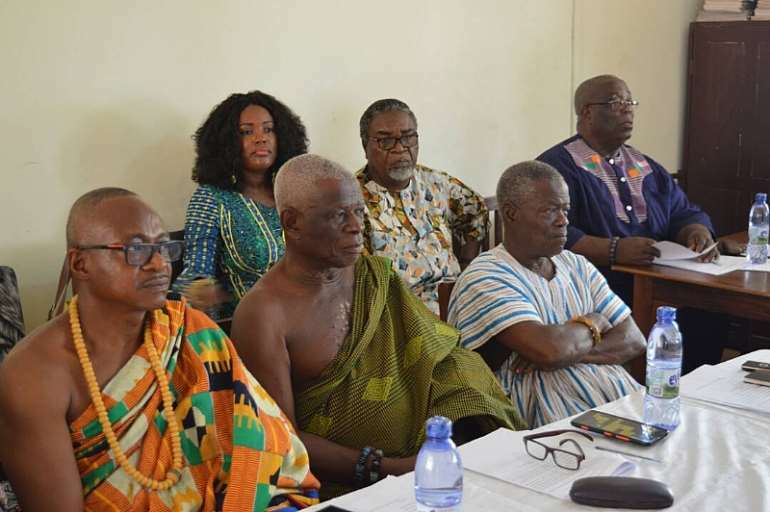 The Paramount Chief of the traditional area, Togbe Kodi Adiko VI, who graced the occasion with his sub-chiefs and elders, encouraged the new board to work hard and build on the efforts of previous boards to bring about sustainable transformation to the school. He urged the board to endeavour to address the perennial water problem as it is one of the very pressing needs of the school. He pledged his unflinching support to the board and wished them well. Speaking on behalf of the board, Dr. Egbadzor thanked the school authorities and the chiefs and elders of the town for their vote of confidence in them, and expressed their readiness to do their best for the development of the school. He said the board would count on the support of the people towards a successful tenure, adding that they would draw inspiration from the people. The headmistress of the school, Madam Diana-Ross Akoi, said the school has seen a steady improvement over the years, saying the 2017 WASSCCE result is a confirmation, as the school attained 100% passes with good grades in various subjects. She recalled that the school started in 1991 through the tireless efforts of Togbe Kwasi Adiko V, then Paramount Chief of Tanyigbe. She said in spite of the great progress over the years, the school faces some challenges such as limited staff bungalows, administration block, lack of ultra-modern science laboratory, inadequate classroom blocks, unavailability of water storage system, inadequate boarding facilities and lack of school fence among others. Moving forward, the headmistress said she is hopeful that the numerous challenges would be appropriately dealt with. The outgoing board chairman, Mr. Victor Akude, said he was convinced that the new team would work hard to complete ongoing projects on schedule and have time to initiate new ones. He also appealed to the GETFUND to speed up on-going projects to bring relief to the school to promote quality teaching and learning. In a statement read on his behalf, the acting Volta Regional Director of Education commended the school authorities for putting the board together. He encouraged the members to have time and be committed to the school, and also have a right disposition to die a little for a genuine course. Senior citizens of Tanyigbe were also present to give their support as has been the case over the years. At the ceremony was Major General Henry K Anyidoho (Rtd), the Development Chief of Tanyigbe and Professor Kofi Anyidoho.